On 5-7 September 2014 Jay Taber’s Counterpunch article, “Imperial Civil Society, False Fronts for Wall Street”, Taber writes about “compromised NGOs” such as Avaaz and Amnesty International, the foundations and other entities that fund them, and how they have become “imperial civil society” cow towing to Wall Street, and being used to “justify privatization, austerity, and military aggression by NATO and the US”. Tricia Redeker Hepner– Funded by the Social Science Research Council and the Wenner-Gren Foundation began her research of Eritreans in the Philadelphia area and today, as Eritrea expert at Amnesty International has been at the forefront of the anti-Eritrea campaign. Her involvement with Eritrean politics is fishy from the get go. How is it that a young American college graduate on her very first trip to Eritrea finds herself entangled in Eritrean politics? Dan Connell– Grassroots international, RootsNet and the Cape Ann Forum and Freedom House-Recipient of several grants including the MacArthur Foundation. This is the same Foundation that funds Human Rights Watch and other “NGOs”. Maryan Van Reisen-European External Policy Advisors (EEPA)-self professed expert on Eritrea-Clients include the European Parliament, various organs of the UN, various NGOs including Caritas, Human Rights Watch, Action Aid, Save the Children etc. etc. Might explain the reluctance of the UN to conduct an independent investigation into the trafficking of Eritrea’s youth. As we shall see later, Van Reisen, like her counterparts, also has an interest in prolonging the agony of asylum seekers and Eritrean migrants. Sara Dorman-Came to Eritrea as an assistant professor in the Department of Political Science at the University of Asmara. The new graduate claims “They needed a political scientist and I needed a job. It seemed like a great way to bridge the transition from student-hood to the real world”. Today, she “studies” the behavior of Eritreans in social media and judging from the papers produced about Eritrea in the past, she will insist on painting a bleak picture of Eritrea and its leadership. Kjetil Tronvoll-A Norwegian researcher with the Oslo Center for Peace and Human Rights (OCPHR) is in a new “Struggle for Freedom in Eritrea”, and has worked closely with the EQL-His papers, books and articles on Eritrea are too numerous to list here. He is also one of the first western anthropologist to enter Eritrea in 1991-to conduct “research”. An avowed anti-EPLF westerner, he insists on defining Eritrea and the needs of her people. The carpetbaggers, dual hatted researchers, “anthropologists” by day, and “hired intellectuals” by night, have become a staple at every conference, forum, meeting, seminar, workshop etc. held about Eritrea. 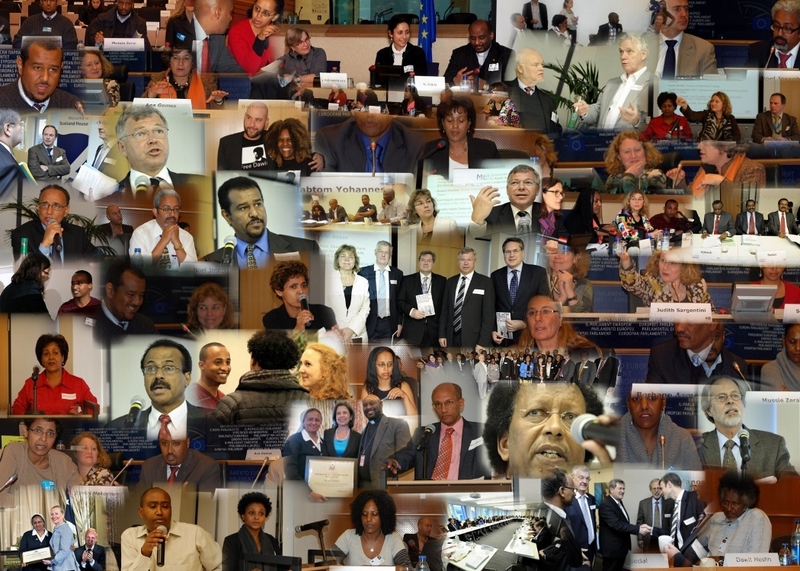 The many “by invitation only” conferences and presentations are made at academic institutions and forums and are never known with the Eritrean people in Eritrea or in the Diaspora. The idea is to “sensitize” the American and European public so that any actions of their governments will then become easily accepted.